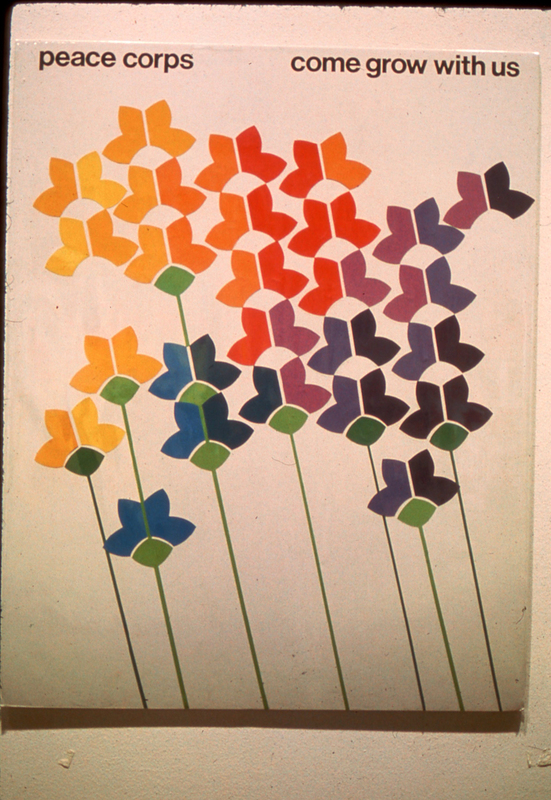 Peace Corps 10th Anniversary Posters - where is the original work? Where is the original art work chosen for the Peace Corps 10th Anniversary Poster contest? I was one of the winners. I was told my work was on display I think in a Smithsonian building or the National Gallery. Perhaps the later since the director of the National Gallery back then was one of the judges. I would like to know what happened to my art work. 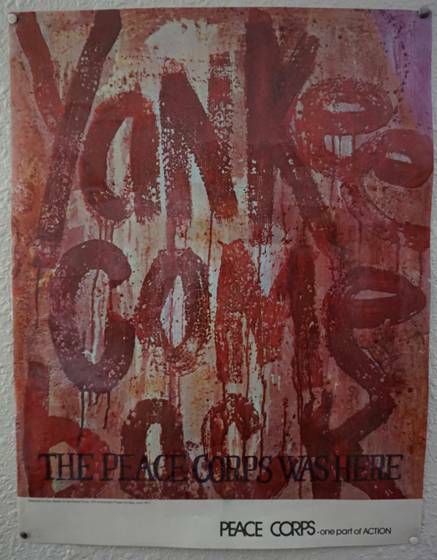 Re: Peace Corps 10th Anniversary Posters - where is the original work? 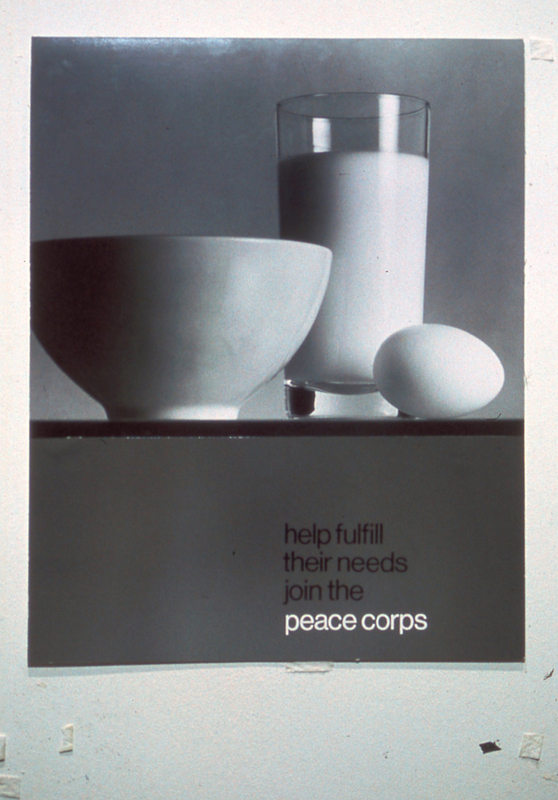 We searched the finding aid for the record series “Peace Corps Posters, 2002-2016” (National Archives Identifier 558694) and could not find any posters listed that were clearly identified as having been made for the 10th Anniversary of the Peace Corps in 1971. It may be that some of the posters in that series were related to the 10th anniversary but were not described as such when the records were transferred to us. 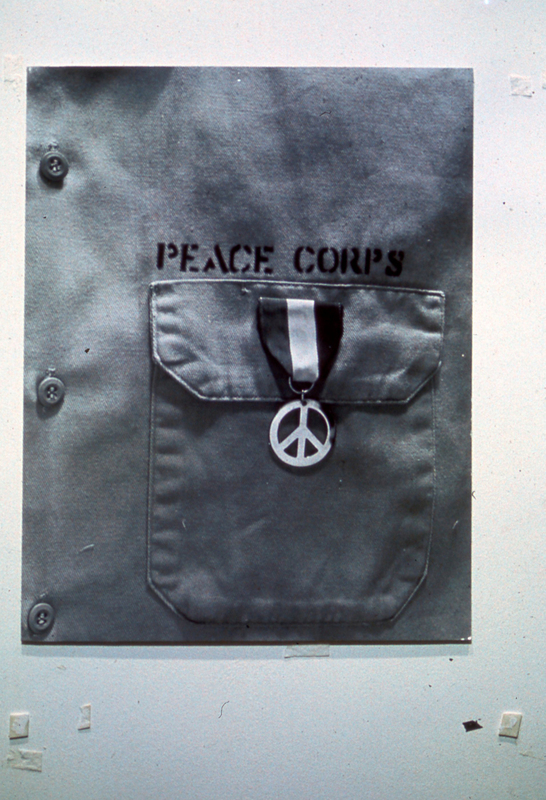 The series Peace Corps Personnel and Activities, 1968 - 1979 (National Archives Identifier 55868) does include photographs of winning entries in the Peace Corps' 10th Anniversary Poster Contest. For questions about either of these record series you can contact National Archives at College Park - Still Pictures (RDSS) via the email address stillpix@nara.gov. 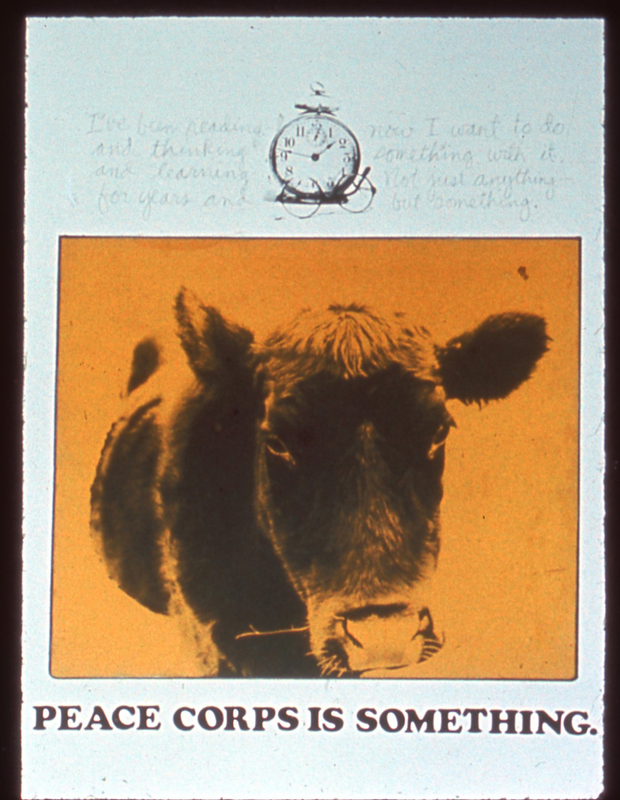 The only relevant items we could find with the Smithsonian’s CollectionsSearchCenter is a file related to the Peace Corps Poster by David Battle that was the basis of the 1972 Peace Corps Commemorative Stamp. 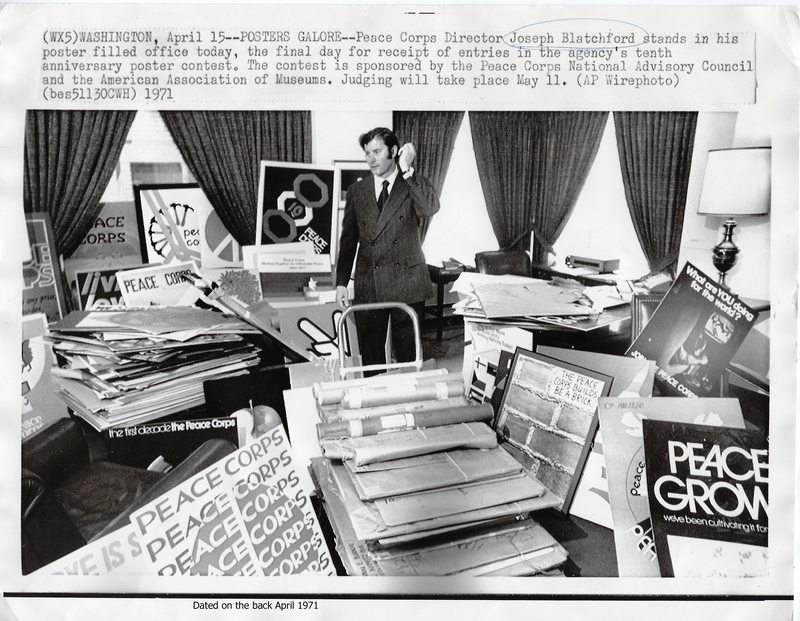 We know from this press release that the National Museum of American History does have some Peace Corps posters in its collections however we were unable to find any details about their holdings on their website. You can contact them via this contact form with any questions. We searched the online catalog for the National Gallery of Art and could not find anything in their collections related to the Peace Corps We also couldn’t find a mention of a Peace Corps related exhibition in their list of past exhibitions. There contact information is here if you have any further questions about their holdings. 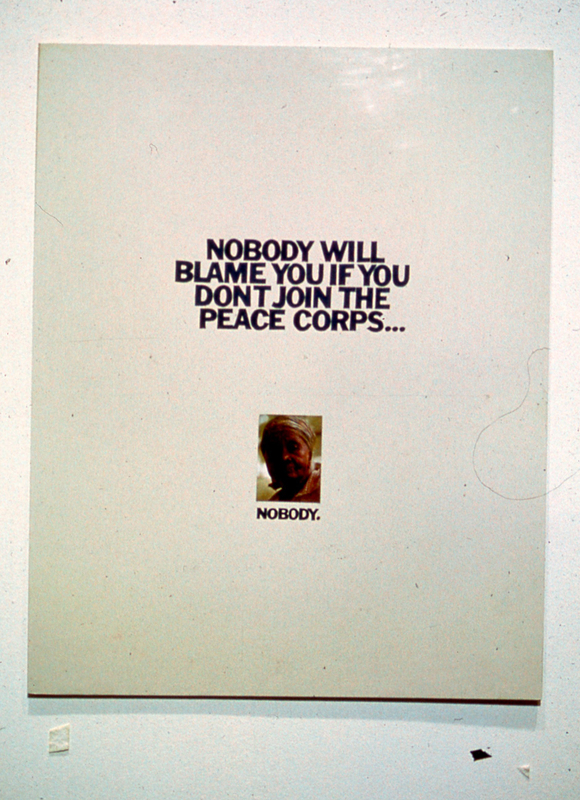 We did find a single Peace Corps 10th Anniversary poster at the West Michigan Graphic Design Archives. One additional option would be to contact the Peace Corps directly via their online contact form. I am still trying to find my poster. In the mean time I found this photo of Joseph Blatchford in his office surrounded by all the posters [original works] submitted to the contest. There were over 2000. In that stack is my art work. I just wish I knew where it is now. I was successful in contacting Mr. Blatchford through third parties. He says he remembered the contest and art show but did not recall what happened to all those original pieces of art work. 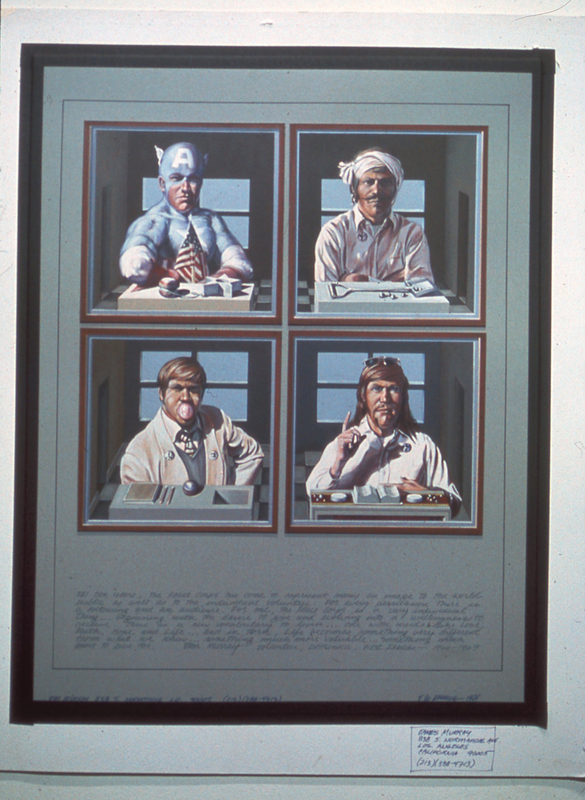 Also, because you were able to establish that the artwork was on exhibit at the Smithsonian Museum of Natural History in May 1971, it is possible that the Smithsonian Institution Archives may have some records concerning this exhibit. You can get in touch with them by emailing osiaref@si.edu, by sending a message via their online Reference Inquiries form, or by calling (202) 633-5870. 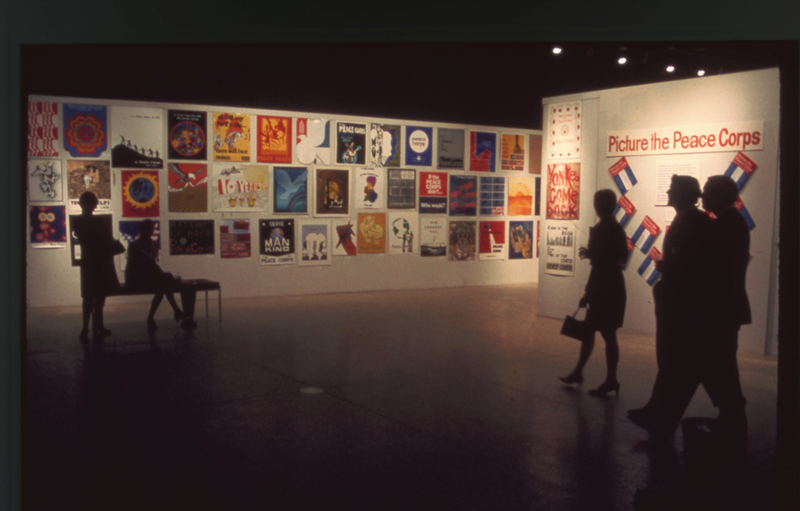 More photos of the 10th Anniversary Poster Contest art show held at the Smithsonian Museum of Natural History in May 1971. 750 original pieces of are were culled from over 2000 submissions for the contest. 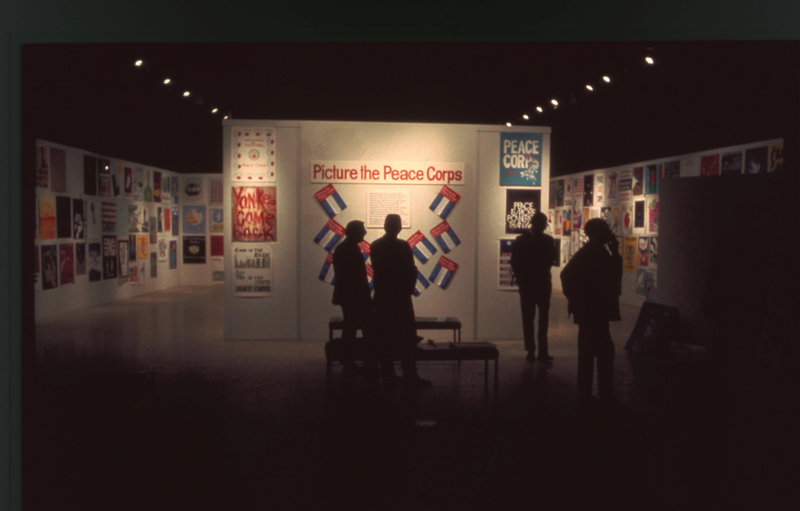 Out of the over 2000 entries 60 were chosen to be made into posters for the Peace Corps. The top 10 winners also won cash prizes. Here is one of the top winners. Another top ten winner - Sue Hintz from Kalamazoo, MI. Another top ten winner - Christian Staub from Seattle, WA. This is the poster that was made from my design, not the original work. Quite a bit was cropped off around the edges and the reproduction technology was not as sharp as today's digital imaging so much of the details in my painting are not as clear and sharp as they could have been, but I think it made a great poster for them. As for my original work. I'm still hoping to find that as well as the whereabouts of all the other original works that were submitted for the contest. 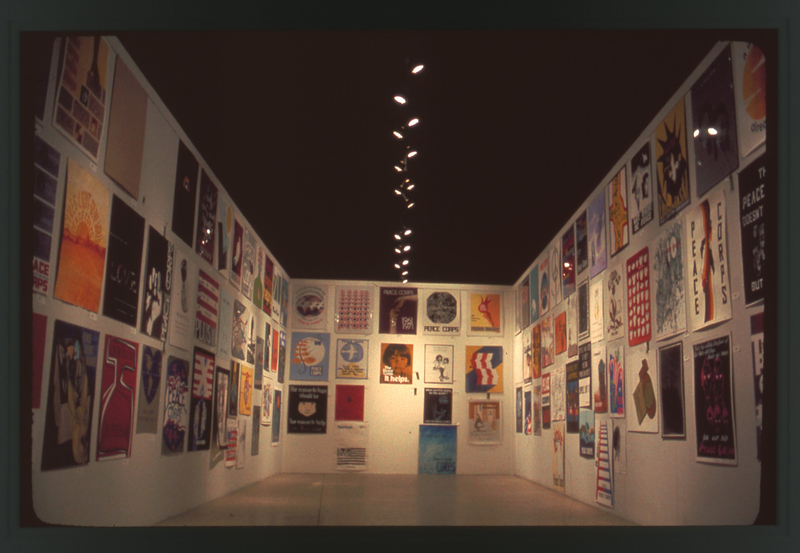 Stillpix has sent me more photos from the Poster exhibit. Another close up of a poster.